"When it comes to divorce, most people don't know where to begin." 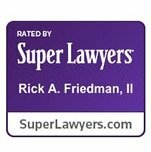 Friedman Law Firm, P.C., specializes in divorce, child custody, spousal support, child support, and equitable distribution cases across Virginia. If you are involved in litigation, or simply want to know your rights, call us today to talk to an experienced divorce lawyer. Call us for a confidential consultation. We believe that caring about our clients and their families is the key to the highest level of representation. 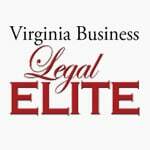 We hire attorneys that care about people and want to help people. We pride ourselves on our availability to our clients. From your first call, you will speak with a kind, knowledgeable person. 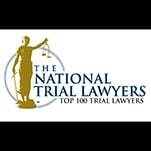 While other firms insulate their lawyers from clients, we are available. Divorce and family law is what we do. We know the law and how to bring your matter to a timely conclusion. Every client has two attorneys. This allows us to reduce costs and increases our availability. Teaching you the process helps reduce your stress and allows us to make big decisions together. Feel free to email us at rfriedman@friedmanlawva.com or use the form below. Please understand that unsolicited emails do not constitute an attorney-client relationship and that email is not always secure. Our preferred method of communication is telephone at (804) 717-1969. We represent clients in Juvenile and Domestic Relations District Courts, District Courts, and Circuit Courts across Virginia, including: Chesterfield, Richmond City, Henrico, Chester, Hanover, Goochland, Newport News, Virginia Beach, Fairfax, and Albemarle. 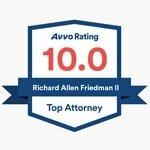 Information on this website is for informational purposes only and should not be construed to create any type of attorney client relationship. All cases are different. Please contact us to discuss your specific case and circumstances. Call for a confidential consultation. Intake specialists are available weekdays from 8:30am until 5:30pm.